Dave Hartley is a deputy principal in the city of Logan, south of Brisbane. Employed by Education Queensland for more than a decade, he has taught across many year levels and was awarded ‘Gold Coast Teacher of the Year’ in 2009. David’s people are Barunggam, the traditional people of the Darling Downs/Chinchilla region. Together with Scott Prince, he has written the ‘Deadly D and Justice Jones’ series which you can read about here. 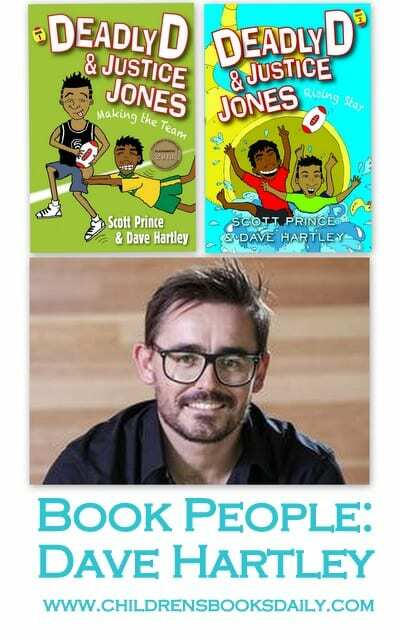 I have decided that Dave and I would get on very well…for starters he loves one of my favourite childhood tales, ‘The Bunyip of Berkely’s Creek’ and secondly…he has a passion for inspiring reluctant readers to pick up a book. 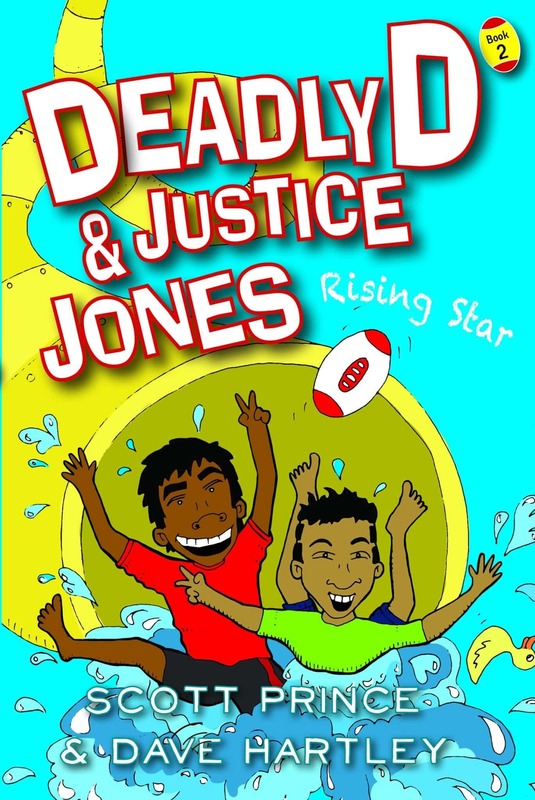 His ‘Deadly D and Justice Jones’ series with NRL legend, Scott Prince, is doing just that, all around the country – you can read my review of the books here. I don’t even LIKE NRL and I was hooked. Like David, I wish, wish, wish that every parent understood the vital difference that reading to their babies, toddlers, children can make to future literary. Thank you so much for joining us here today Dave…I hope that one day the Batmobile arrives to pick you up for school. To add any titles to your home, school or library collection click on titles or cover links. Rising Star is the second book in the Deadly D and Justice Jones Series. Our main character will need to make a huge sacrifice and lose his superpowers – but will it be forever? Kittens will be rescued and resuscitated, goldfish will be engulfed in women’s bras and you’ll get to ride in the world’s fastest billy cart. I started writing seriously after our second child was born. I put everyone to bed and started a story that appealed to my inner-boy. I was hooked instantly. From then, my interests spread to writing for specific target groups – children that needed to be inspired to pick up a book and begin reading. My man shed is the ultimate. I have a large desk for writing and illustrating, a couch to crash on if I finish up late and a flat screen TV to take a break and watch sports. My Beatles collection hangs from the walls and my vinyls come out on the weekends. Goo goo gajoob. Write from the heart and let yourself come through. Keep an emotion in your head and write towards it. Enjoy it. 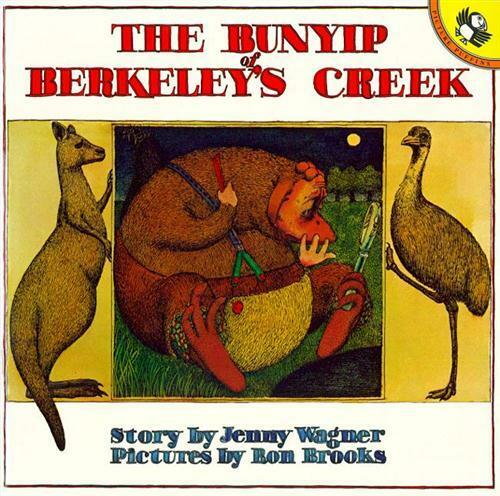 ‘The Bunyip of Berkeley’s Creek’ by Jenny Wagner is my all time favourite! 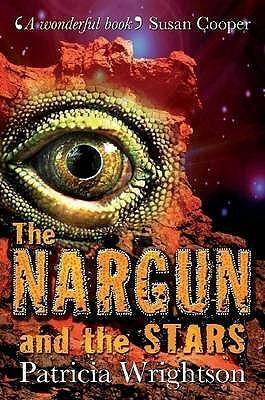 It takes me to a slightly foreboding place, that calms me and intrigues me at the same time – much like Patricia Wrightson’s ‘Nargun and the Stars’. I like Batman too. And The Phantom. I’d still be a deputy principal, but with possibly less wrinkles and bags under my eyes. Less dependent on coffee also. If I could be anything though, I’d be an actor. I write best in total silence, so music isn’t an option. I always have a bottle of water near me or a cup of tea. My writing involves a great deal of my own experiences and I’m inspired and amused by many people I know. The teacher in the Deadly D books, Mr Barwick, certainly has some of my characteristics, I hate to admit! Scott, my co-author and I also like to throw in the odd name of someone who might have gone to school with, just to keep it interesting. Keep an eye out for Jamie ‘Baked Beans’ Fraser in our latest release! 10 . If you could have one wish for the world what would it be?